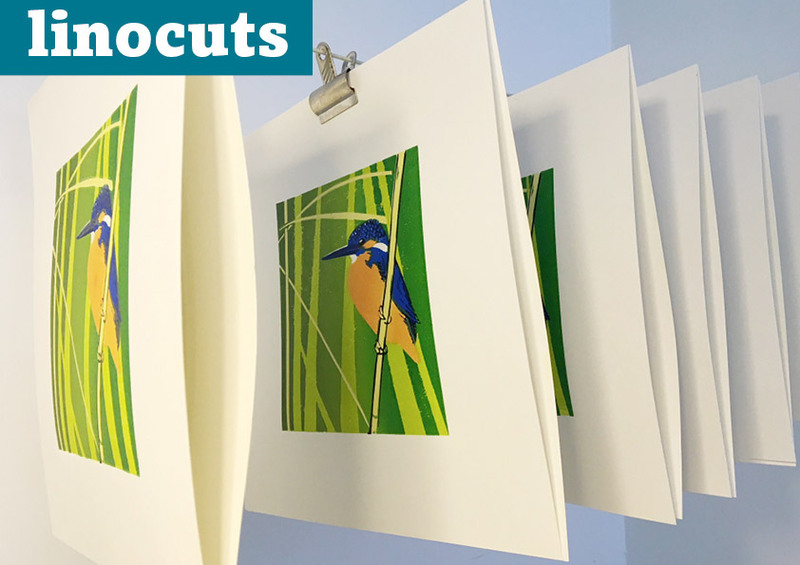 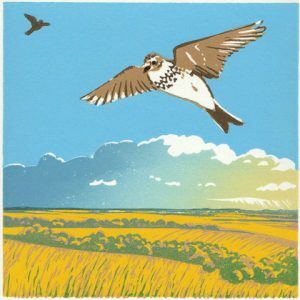 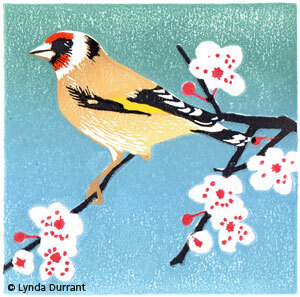 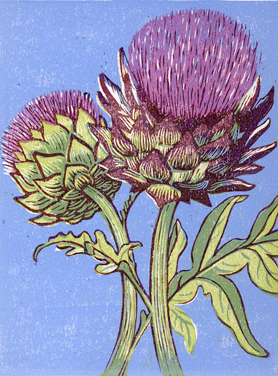 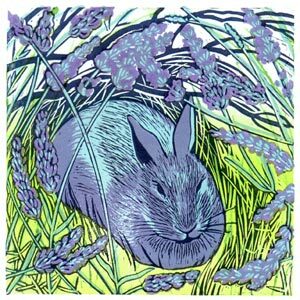 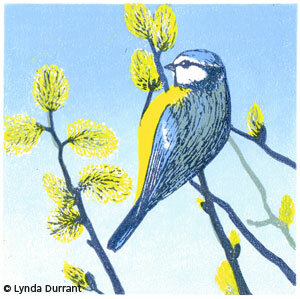 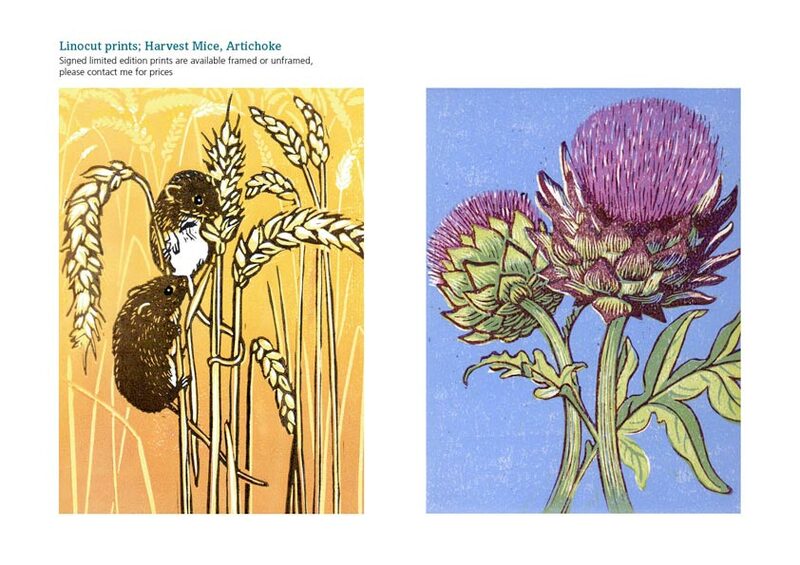 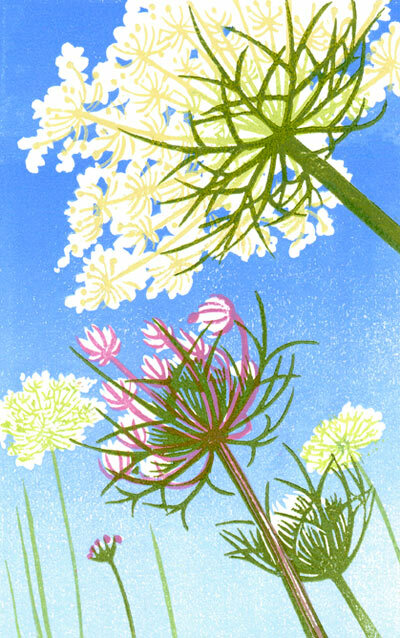 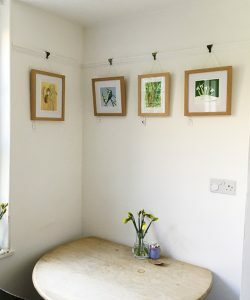 My prints are hand made using up to four separate lino blocks, one for each colour. 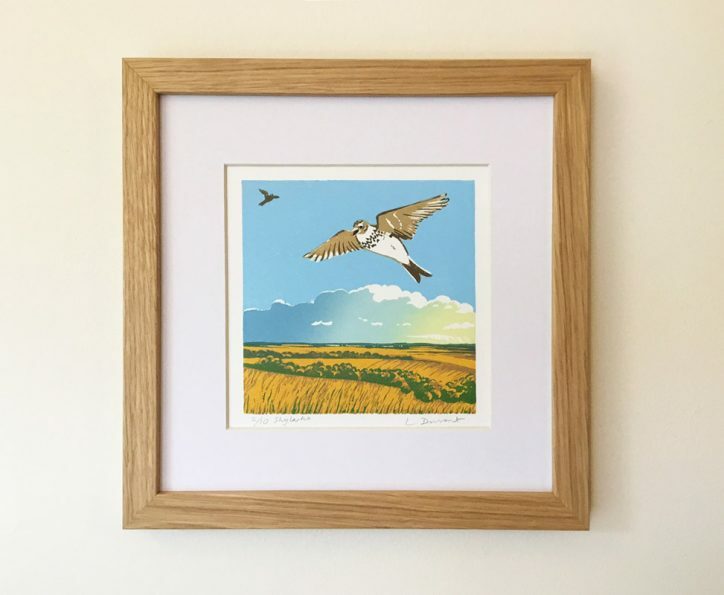 Available framed in a natural wood oak coloured finish with 20mm square profile, in a card window mount OR in a card mount only, without the frame. 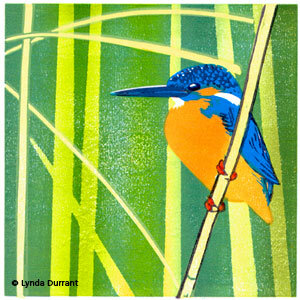 Posted to your address via Parcelforce, or you can collect from my studio in Lewes, East Sussex. 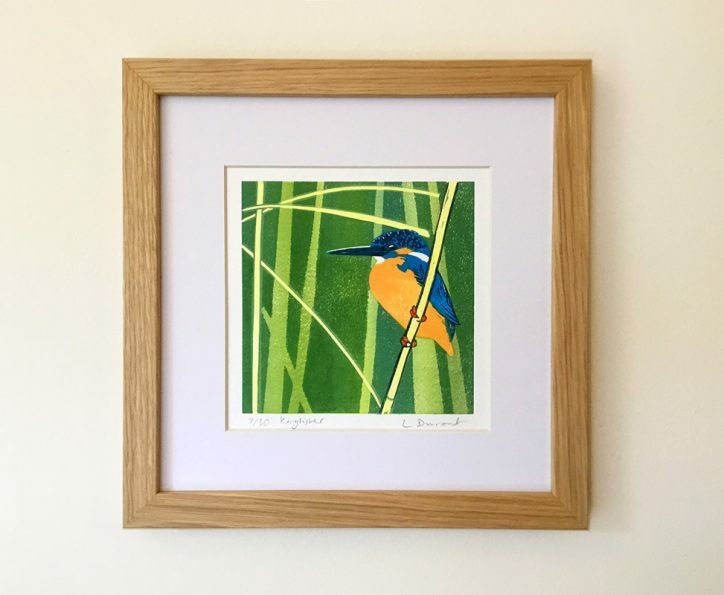 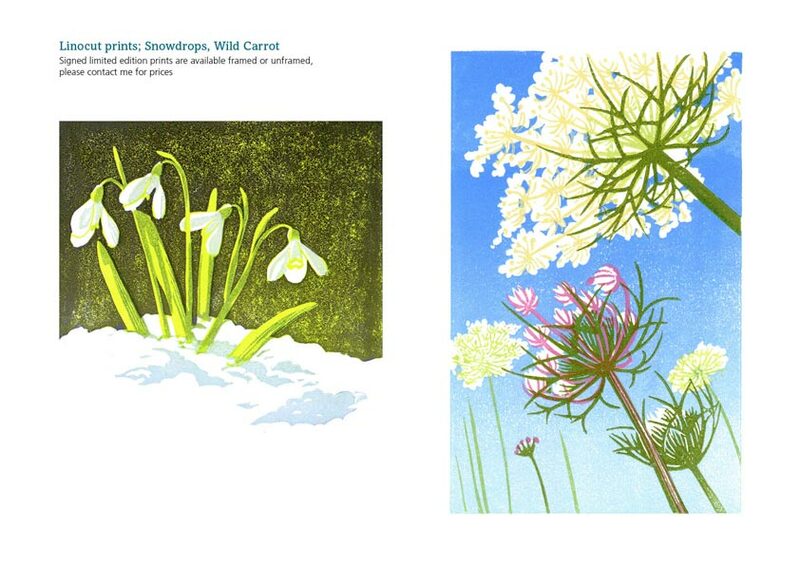 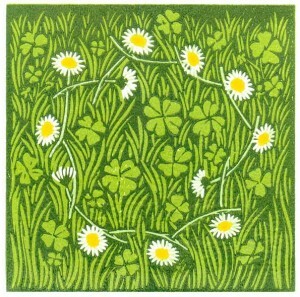 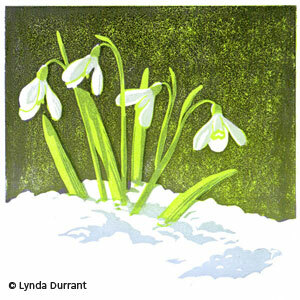 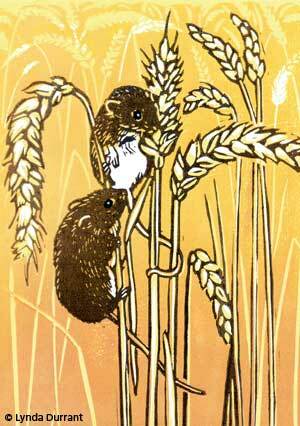 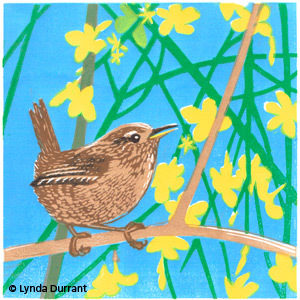 Each linocut is a signed editioned original print. 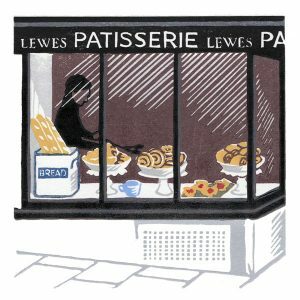 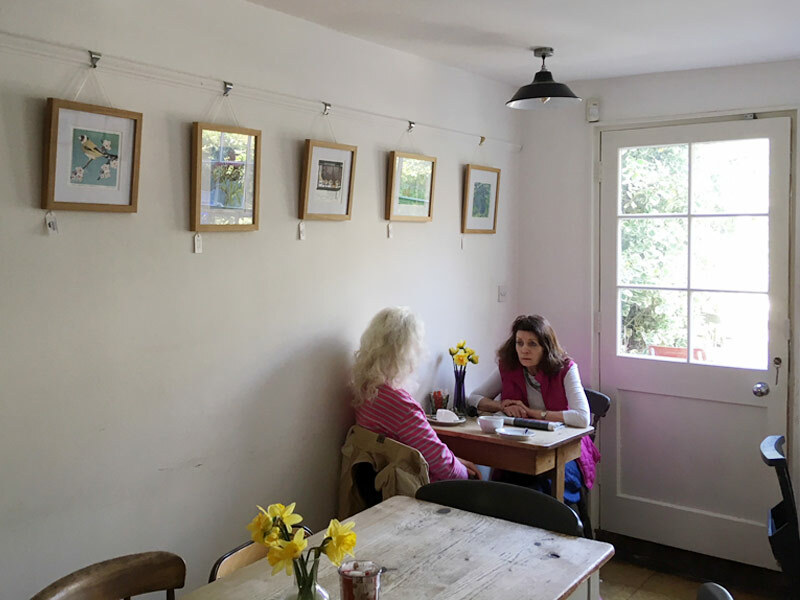 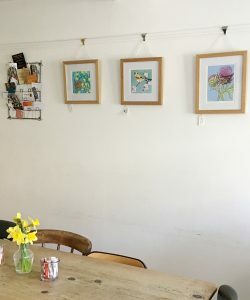 The Lewes Patisserie (a favourite for coffee and croissants) exhibited my prints including a specially made linocut of the Patisserie itself. 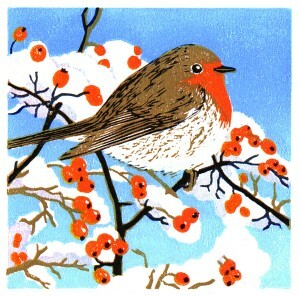 Cards are available to buy too.